An RFID scanner or reader utilizes radiofrequency waves to wirelessly transfer data from an RFID tag. This is ideal for identification, categorization and tracking, and the technology can be used widely across multiple industries. An RFID scanner, combined with the right software and printing equipment, can truly streamline any business. RFID tags or labels are great for tracking shipments, inventory, merchandise, supplies and much more. And since an RFID scanner is most often mobile, nearly all RFID systems allow for ease-of-use throughout various departments. At Tri-State Business Systems, we carry a broad selection of RFID readers, printers, software and other related products and services from some of the best manufacturer’s in the world. Our highly trained and experienced product experts can discuss your needs and help you decide on the RFID scanner that’s right for you. Not only can we help you choose the ideal barcode scanners or RFID readers for your business, we can provide you with a turnkey data collection and labeling system. In fact, our team of hardware and software engineers can design and implement nearly any RFID and/or wireless system, providing custom programming, site surveys, training, project coordination and more. 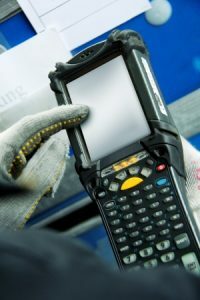 They often incorporate one or more labeling and scanning technologies and, at times, include a mix of barcode scanners, mobile printers and other labeling equipment. We are a leading solution provider for barcode and labeling systems, and we are proud to supply many of the leading fortune 1000 and 500 companies today. 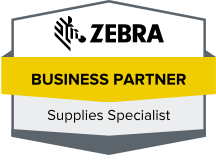 We are 100% dedicated to providing superior customer service each and every time, and we know you will be pleased with our comprehensive barcode and labeling systems. We are proud to serve hundreds of businesses throughout Branchburg, Flemington, Rowland Mills, Hopewell, Mt. Rose, Princeton and the surrounding areas, and we look forward to helping you streamline your business or organization today! Contact us now for more help selecting an RFID scanner or inquire about our other products or services!